Philadelphia, PA - rehearsal dinner night when both families celebrate together for possibly the first time at one table. It is an opportunity to enjoy their company, thank friends and family for their love and support, and breathe a sign of relief now that the planning is behind you. The culinary talents of local chefs fusing international flavors into award-winning cuisine and the skill of restaurateurs has elevated our dining scene and put Philadelphia on the map. 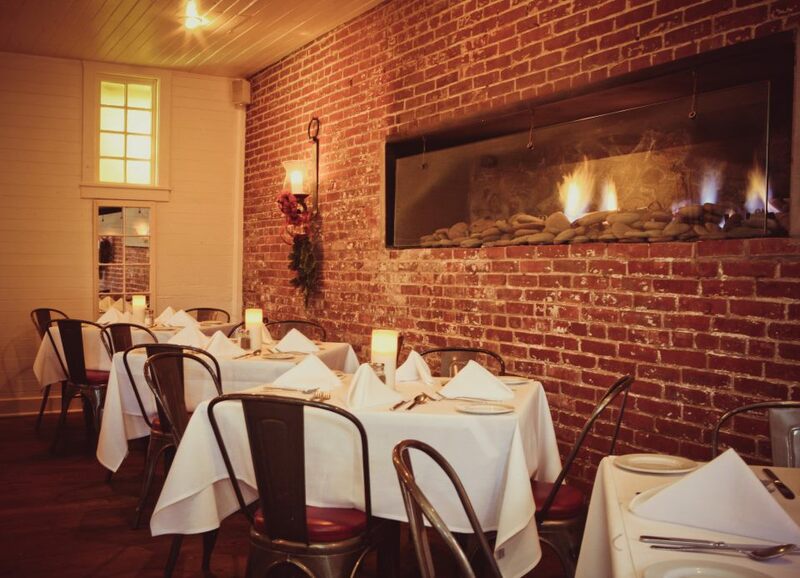 Deciding where to have your rehearsal dinner in the Philadelphia area can be challenging. 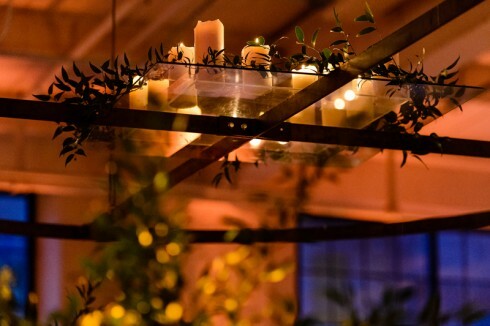 However, here are the top six best kept secrets in rehearsal dinner venues to make this task simpler. 1. The Franklin Inn Club. French doors open to an intimate garden set against a bust of Ben Franklin himself. History aficionados will adore this quaint and classic venue that was originally founded in 1902 as a literary club. Art, history and original lithographs line the walls. Solid wood bookshelves showcase literature from its authors-members collected throughout a century. 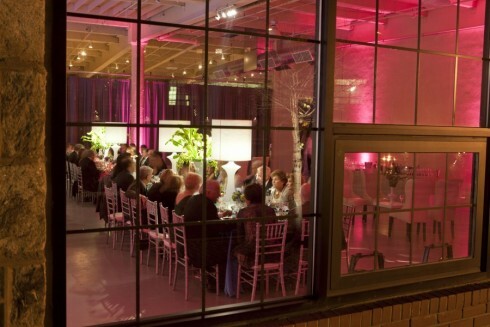 The event space accommodates up to 85 guests. Jeffrey A. Miller Catering or Feast Your Eyes Catering will create a menu perfect for your palate and special gathering. 205 South Camac St., Philadelphia. (610) 316-6272. 2. Pomme. Described as a converted clubhouse on the Main Line, Pomme walks the line between a mansion and a house. Pomme offers scenic views of a pond, streams and trees in a lush landscape. Wooden pendent lights illuminate the space that includes overstated windows on one side and cream and wood tones in its interior. Pomme's open floor plan offers flexibility to accommodate up to 200 guests. The venue's exclusive caterers Peachtree & Ward Catering can tailor the perfect menu to fit your rehearsal dinner. 175 King of Prussia Road, Radnor. (215) 843-1890. 3. Peche. This restored stone textile mill in the East Falls section of Philadelphia is now a chic loft space with a romantic outdoor terrace. 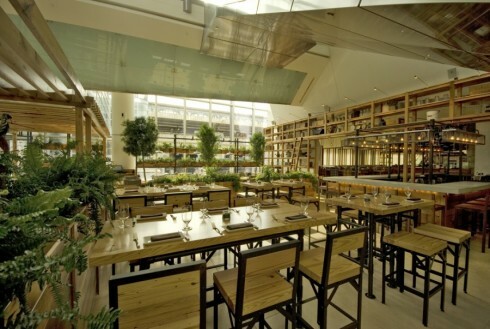 Inside, you will find oversized windows, elevated ceilings and flexible space for intimate and elaborate dinners alike. 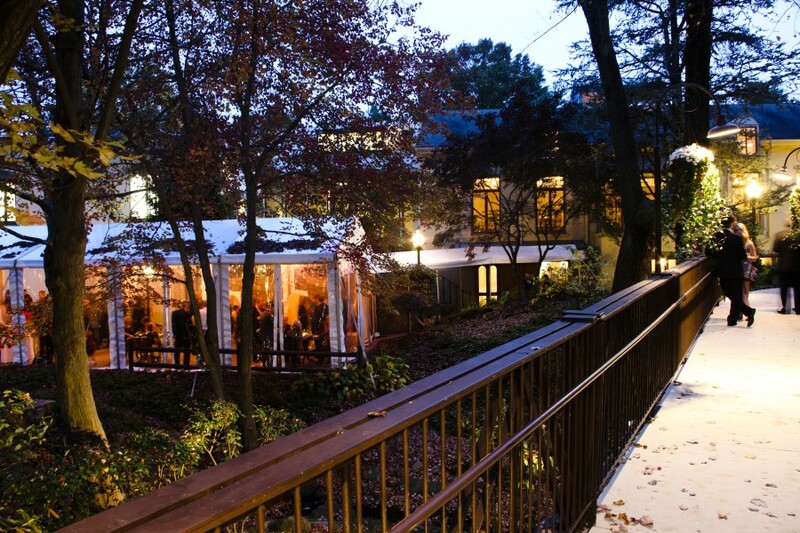 This beautiful location accommodates 125-600 guests. Peachtree & Ward Catering is also exclusive to this venue. 4. Cira Center. The 29-story high rise boasts fascinating views of Philadelphia and overlooks the west bank of the Schuylkill River. However, it’s the silver glass, and unique LED-illumination that will keep your guests mesmerized as its exterior colors change once dusk sets. Its caterer, JG Domestic Fine Food & Spirits, part of the Jose Garces Group, features fresh, locally-sourced seasonal ingredients with an American flare. 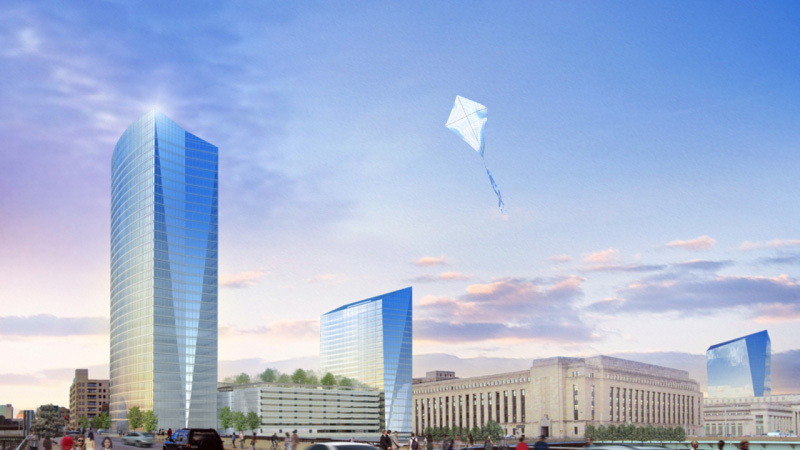 Cira Center accommodates up to 265 guests and is conveniently located by 30th Street Station. 2929 Arch Street, Philadelphia. (267) 284-7932. 5. Amada. 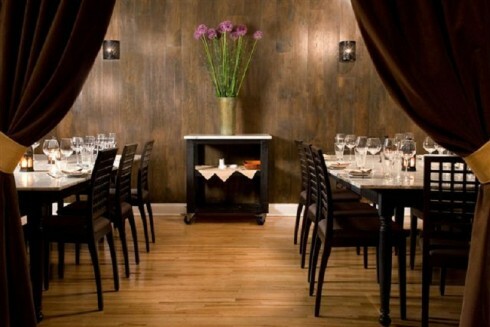 The rustic chic ambiance of Amada in Center City Philadelphia offers authentic traditional Andalusian tapas complimented by its Spanish wine or homemade red sangria. Iron Chef and James Beard Award recipient Jose Garces has built a culinary empire with combinations of flavors and textures for even the most discriminating palate. Garces’ signature item is a table-carved whole roasted suckling pig for groups of seven to 10 guests. However, the "Chef’s Selection" is an excellent choice for first timers as well as frequent guests. The restaurant has a variety of seating options such as private dining rooms, a lounge, private bar or group tables to accommodate up to 125 guests. 217-219 Chestnut Street, Philadelphia. (215) 222 -2363. 6. The Gables at Chadds Ford. The Gables, once a barn, an 1800s dairy bar and then a general store, has evolved into an established restaurant in historic Brandywine. Its second floor banquet room is the perfect space for a rehearsal dinner with a captivating antique chandelier, wall of French windows, and raised gabled ceiling with exposed deep mahogany timber framing. 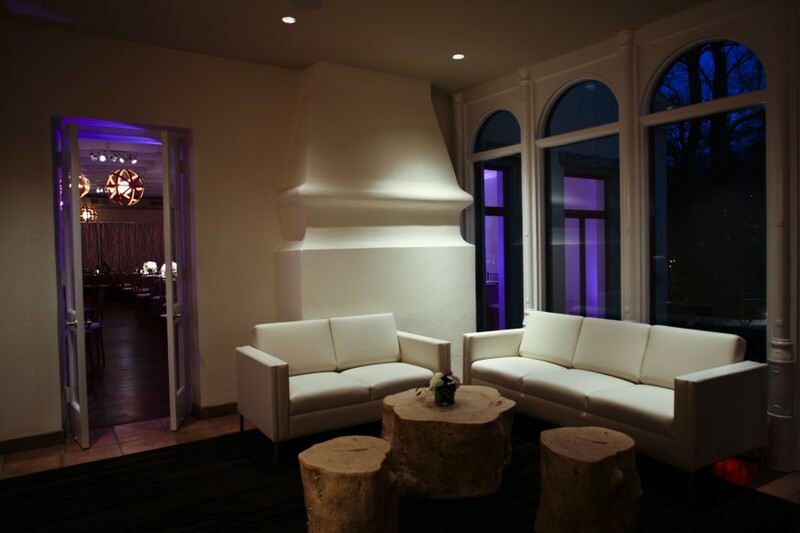 The second floor space also has its own private entrance, deck, bar and restrooms. The restaurant’s menu consists of American entrees with French undertones. Confection lovers rejoice as the Gables’ pastry chef offers a choice between signature desserts or custom cake designs. 423 Baltimore Pike, Chadds Ford. (610) 293-1000.